How can the arts become more accessible? 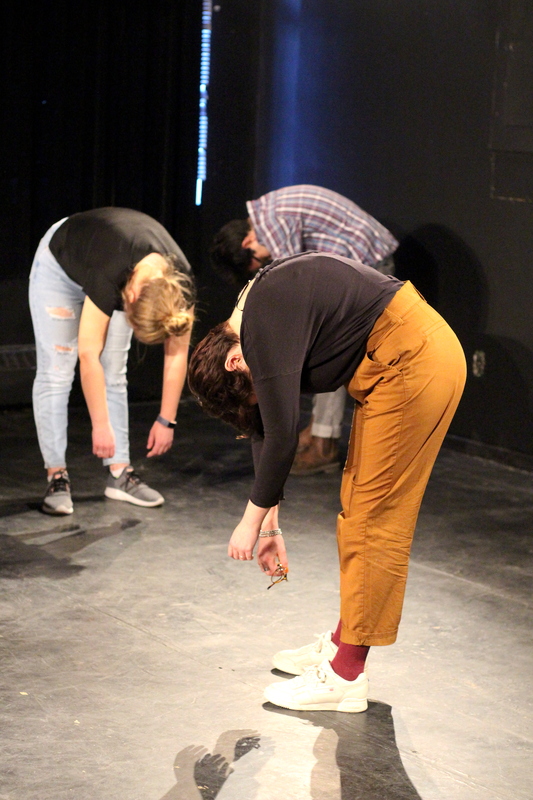 The Autodidacts Concordia Theatre (ACT) club works to remove hierarchy in theatre and prove that it is truly for everyone. ACT was started in 2016, when a group of students arrived at Concordia, and couldn’t find anything doing what the club hoped to do—provide theatre for all, no experience needed. The founders, Alexander Luiz Cruz, Dexter John Lavery-Callender, Matias Rittatore, and Zoë Bujold, met at Dawson College, where they participated in a project similar to ACT. This provided a safe, comfortable and inclusive space for those who were interested in theatre, but not studying it. The club provides a space for community and connection, promoting shared passions for theatre, regardless of background or experience. ACT provides an alternative space for people to be creative and perform theatrically, unlike more intensive, hierarchical performance environments. Here, the competitive nature sometimes found in the arts is removed, and everyone is given an equal opportunity to perform and participate. ACT holds performance workshops the fall semester, and works on a production during winter semester. The group funds itself through CSU grants and by holding events like bake sales, to cover costs of location and materials. Participants, however, are not required to pay to take part in ACT—it is truly open to all. As for ticket sales during the run of the annual show, all proceeds go to the Theresa Foundation, a charity based in Montreal, that supports families of AIDS victims in Mnjale, Malawi. In the workshops, participants practice a variety of styles and techniques, including improv, scene studies and monologues. In the winter production, auditions are open to the public, and not only for acting roles—the club also auditions for writers, directors and people working behind the scenes. The club is currently working on their annual winter semester production, Only Human. This is ACT’s biggest production yet. Only Human centers around the character of a former child star, now grown up and hosting a talk show. The show is focused on demonic possession, with three guests sharing their respective, alleged experiences with possession. At its core, as Cruz and Rittatore shared, the play navigates themes of desire and how far one would go to get what they want. This production is more within the genre of horror, rather than the comedies and dramas that the club has presented in the past. As the founding members and executive team graduate from Concordia in coming years, and move on from ACT, they have hopes for the future of the club. “Essentially, our goal is to create a space for people who don’t necessarily have any experience to try theatre. The club provides some sense of community and some experience,” explained Cruz and Rittatore. The founders want this to remain the core of the club, but also hope that in coming years, ACT will continue to grow, through innovating, pushing and challenging itself within the realm of theatre. Only Human will be showing from May 1 to 4 at the Mainline Theatre, located at 3997 St. Laurent Blvd. The club is open to the public, and will be hosting workshops in fall 2019. Find out more about the club on their Facebook group, The ACT Club.